Somewhere I read about using a cheap USB HDTV dongle for a software-defined radio receiver. The dongle needed to be built with a RTL2832U chipset and an E4000 tuner. The thing works from 62 MHz to around 1.7 GHz. There's also a somewhat risky modification that allows it to pick up the HF bands, but I haven't yet tried that. I found one on eBay for the outrageous price of $17. The downside is it took about three weeks to show up. After I made sure it indeed showed up on the USB bus I followed the following steps, gleaned from various blogs. As always, I did all this stuff in a Linux environment , but it can be done under Windows or Mac OS. Doing this stuff on a Mac is probably pretty similar. You will need the libusb dev headers. If you're using a Debian based system, simply run apt-get install libusb-1.0-0-dev. Most software for the dongle depends upon GNU Radio, so you must install it. Patch Von Braun has built a shell script which will compile gnuradio for you, if you're running a Debian based system. You can get it here. Connecting to www.sbrac.org (www.sbrac.org)|174.142.32.20|:80... connected. The script will automatically take care of any dependencies and build gnuradio, with support for the Realtek dongle. The output is quite long, so it has been omitted. It may take some time to finish. After the build finishes, there are are some applications which depend upon gnuradio that you can install. The first SDR application I installed was "Multimode Radio Receiver". It is just that. Here we can see what things look like around the aircraft band. Please note that this is with the rather lousy antenna the dongle came with. It isn't even close to being correct for this wavelength, so it isn't really picking much up. Another app I tried out is gqrx. It is a little bit more polished than Multimode, but it doesn't have the scan feature. Here it is on a local FM station. This dongle is a pretty powerful tool at a pretty cheap price. I'm going to do a followup post once I'm more familiar with doing things in GNU Radio, and if I come across any software that I find to be particularly neat. I'm a busy man though, so no promises as to when. I didn't do this in a vacuum, so it is only fair that I list where I learned things. 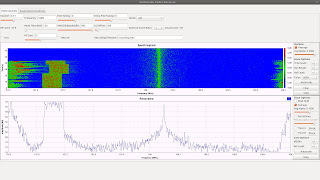 GNU Radio and librtlsdr with Realtek RTL2832U/Elonics E4000 software defined radio receiver. There are numerous vendors or shops available in market where you can buy cheap software. 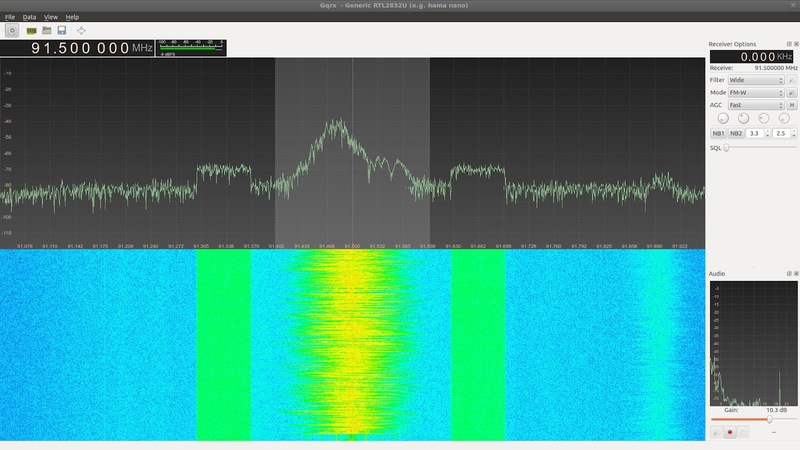 SDR is basically the metric to keep track of your software electrical performance.